Passing the Rhode Island written exam has never been easier. It's like having the answers before you take the test. At this time, the Rhode Island Division of Motor Vehicles (DMV) currently allows you to make appointments for certain types of driver-related services. Keep reading for more information about the types of appointments you can make, how to schedule them, and what you'll need to bring while visiting your local DMV branch office. Keep in mind, you may be able to avoid a trip to the RI DMV by using the convenient online services provided by the state. Be sure to take a look at all the time-saving driver and vehicle services you can accomplish without ever having to leave home. 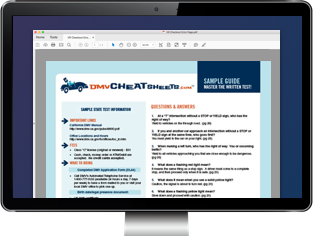 You can use the Rhode Island DMV's Online Road Test Scheduling System to make an appointment for your standard license behind-the-wheel exam. If you need to cancel or change your salvage inspection appointment, call (401) 462-5736 at least 24 hours in advance.